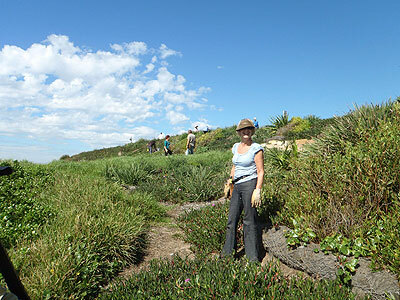 This picturesque site above Coogee Beach and Wylie's baths involves removing weeds and replanting with indigenous plant species. The group has successfully revegetated a large portion of the site and is continuing around the outskirts of the playing fields. Look for the Council ute near the BBQ area opposite the entrance to Wylie's baths on the second and fourth Tuesday of the month.